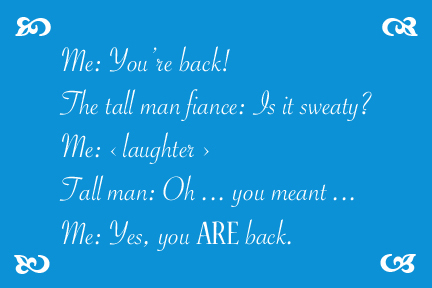 The tall man fiance : Is it sweaty? Me : Yes, you ARE back. 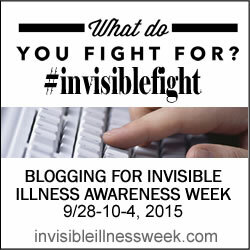 Both of us, immediately afterward : We should tell L and J ! Thanks to our favorite antagonistic Asian/white couple for the inspiration. This is a tribute to you. We might need to work on our insults, but after all, we're only just engaged. There's still time.